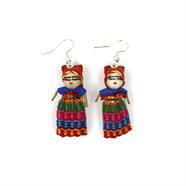 These sweet little earrings are made in the style of traditional worry dolls. 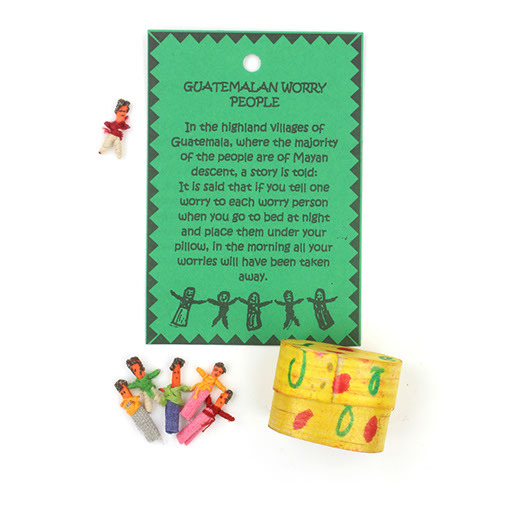 In the highland villages of Guatemala a tradition exists where every time you feel anxious or worried you tell your problems to a little worry doll and leave him or her under your pillow to take your problems away. 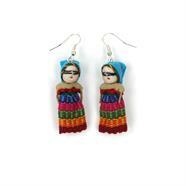 By morning your mind will be clear and your worries gone!